Billericay Town finished top of the Eastern League Premier Division after Cambridge City defeated Acle United 2-1 in midweek. Norfolk side Acle had been left needing to win their last two games to have a hope of taking top spot on goal-difference but lost the first of those matches on Wednesday and had three players sent off in the process. Megan Todd put them ahead but Ciera Flatt, Amber Rowland and substitute Kate Pasque all saw red, while Cambridge City levelled through Bronte Rapley and won it with an Ellie Cullum tap in to finish runners-up. 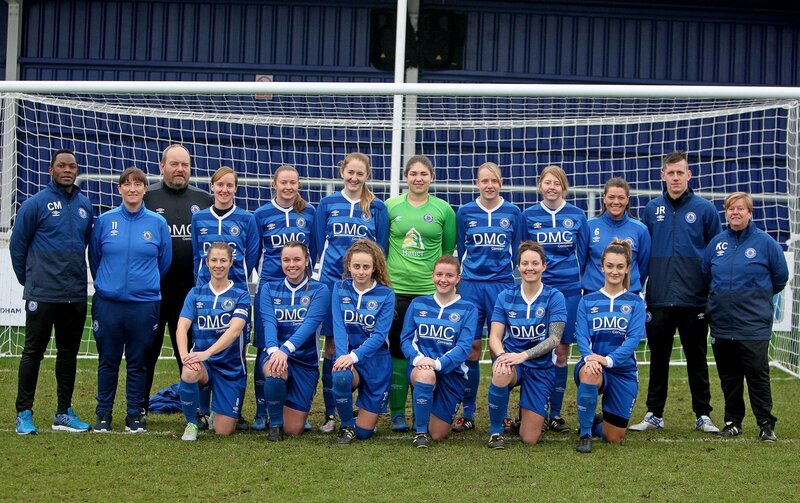 Billericay were thus champions by one point and promoted to the newly named FA Women’s National League for season 2018-19.